After the architectural marvels of Thiruvananthapuram (Trivandrum), the Kerala Blog Express moved up to the district of Kollam, formerly Quilon – an ancient seaport since the time of the Phoenicians and Romans – where we were introduced to the topographical and tourism highlight of the state – the backwaters of Kerala. Stretching parallel to the Arabian Sea for more than 900 km, the Kerala backwaters is a vast network of five large lakes and brackish lagoons fed by 38 rivers and linked by man-made and natural canals. Kettuvallams or traditional houseboats ply this watery labyrinth taking tourists on backwater cruises which can last for days. These tourist boats were once used to carry rice and goods between settlements along the extensive maze of waterways, but later became obsolete with the improvement of land transport over roads and highways. The Kerala backwaters crawls across four districts in Kerala: Kochi (Cochin), Kottayam, Alappuzha (Allepey) and, of course, Kollam (Quilon). The luxe lakeside hotel of WelcomHotel Raviz Resort & Ayurveda Spa Kollam whetted our backwater appetites with a marvelous lunch (the pan-fried prawns were unforgettable!) aboard a large houseboat that cruised around Ashtamudi Lake, an octopus-shaped lake, which is the second largest in the Kerala backwaters after Vembanad Lake. We spent the entire afternoon floating along coconut palms crowding the lakeshore next to marooned ferryboats, rustic kettuvallams and cantilevered fishing nets. Before docking, we caught an exciting snake boat race along the hotel, then later watched a demonstration of one of the backwater cottage industries of coconut coir rope making. It was an amazing preview of the scenic waterways, and made us all excited to see more of the backwaters as we continued on with our journey northwards across Kerala. Our team retired at The Quilon Beach Hotel along Kollam Beach, which also offered a glimpse of coastal village life in the mornings with fishermen pulling in large fishing nets onto the golden shore, similar to my experience at Samudra Beach in Thiruvananthapuram (Trivandrum). Unfortunately, Kollam Beach was littered with trash, which attracted many crows and egrets. Black kites and brahminy kites circled the sky just like feathered counterparts of…. kites. As with the other beaches we visited in Kerala, the quaint village charm makes up for the unappealing presence of refuse, or the lackluster quality of the sand, when compared to the beaches back home in the Philippines. I especially love how Kerala’s beaches have so much local character. WHERE TO STAY: The Quilon Beach Hotel is an accessible, modern five-star stay within the city center of Kollam (Quilon) with commanding views of Kollam Beach, suitable for both leisure and business travelers, while WelcomHotel Raviz Resort & Ayurveda Spa Kollam is an indulgent escape along the jungly shores of Ashtamudi Lake, known for its scenic backwater cruises and luxurious Ayurveda treatments. 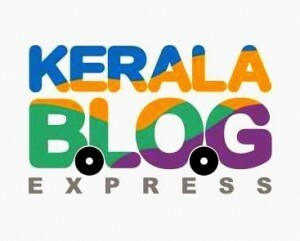 This blog post was made possible through Kerala Blog Express, a blogger tour organized by Kerala Tourism that took 27 travel bloggers from 14 countries on a two-week journey from Thiruvananthapuram to Wayanad. The exclusive tour was held from March 9 to 26, 2014.